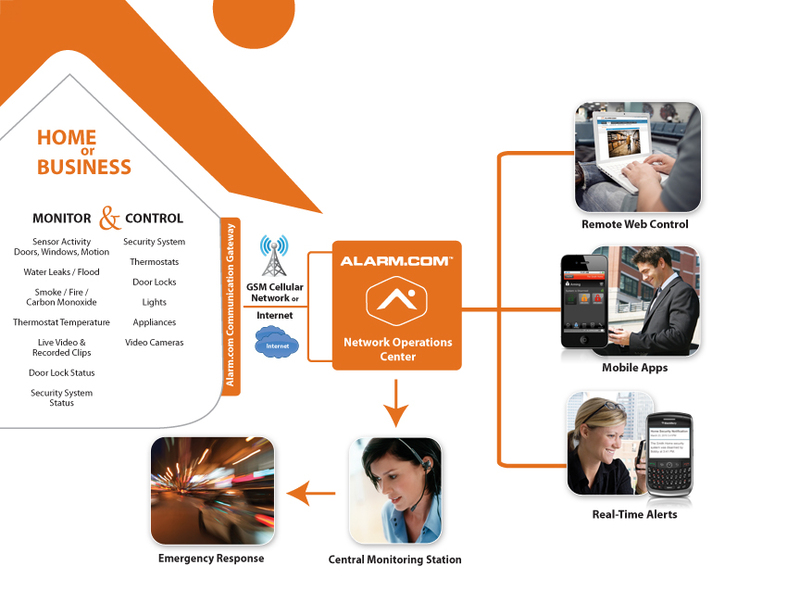 Home automation is quickly gaining popularity in the alarm system industry. Z-wave is the driving force behind the connected home space. This technology is extremely reliable and very cost efficient. All the top security manufacturers including Honeywell, Interlogix, (formerly GE Security), and DSC all incorporate zwave as the backbone for their home automation solutions. Having a smart home these days does not have to be complicated or break the bank to set up. There are no wires to run or separate control panels to install; everything works through your alarm panel. Z-wave devices use wireless RF technology to communicate back to a central controller, usually located in the alarm control panel. These signals transmit using secure AES125 encryption and do not interfere with the wifi in the home. Z-wave devices include but are not limited too: door locks, light switches, receptacles, and thermostats. Once they are programmed into the primary controller, the homeowner can have full control of the device through the alarm.com web browser or free mobile app. Once logged into the alarm.com website, the customer can create schedules for z-wave lights to turn on or off during certain times of the day. For example, have interior lamps or exterior flood lights turn on in the event your alarm system goes off. Or better yet, have the ability to remotely unlock your front door to let someone in your home without having to hide a key or give them a key. Control your thermostats from your smart phone or iPad. Door contacts or motion detectors connected to the alarm system are capable of triggering actions for lights to automatically turn on/off. You can also place water sensors in strategic places (such as under a refrigerator) to detect water leaking into your home and then have a text sent to you or your rental company alerting you/them of the problem. These are just a few examples of what a smart home is capable of accomplishing. The technology just keeps getting better. 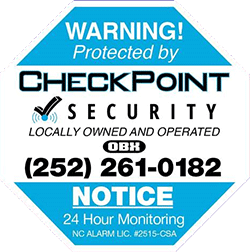 CheckPoint Security’s primary focus will always be to provide security for our customers and their property. Home automation solutions will always be a byproduct of this main principle. While home automation can offer convenience and lifestyle enhancements, it should always be secondary to your security and personal safety.